Last night, for the first time in several years, we actually attended a Super Bowl party! Recently, we have opted to stay in and watch the big game in the comfort of our home, but we couldn’t refuse a generous invitation from our next door neighbors. So, surrounded by delicious food and great people, we watched the New England Patriots defeat the Los Angeles Rams in a fun and neighborly environment. 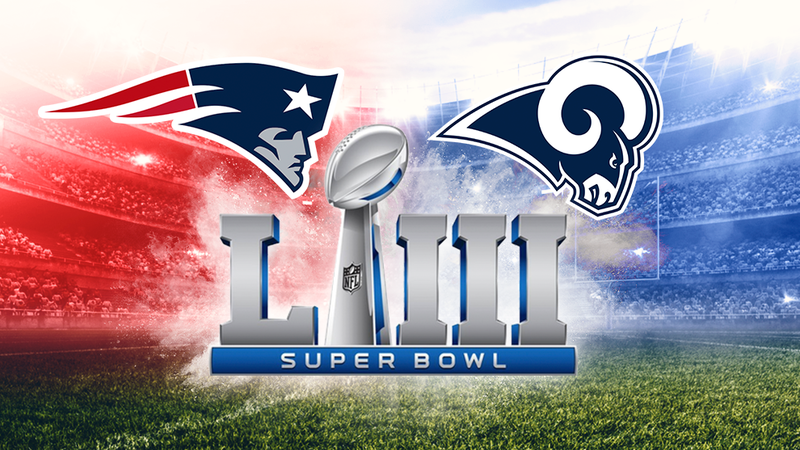 Tonight I will provide some brief commentary on Super Bowl LIII. This year, I am happy that I can just review the game instead of an episode of “This Is Us” as well. Sorry, I had no interest staying up to watch “The World’s Best.” Did “America’s Got Talent” get cancelled or something? Alright, let’s start with the football. I am never one to call a game “boring” just because it turns out to be a defensive contest. I actually love a low scoring game every now and then – as long as the game play is good. I thought the first half of Super Bowl LIII was solid. It was clean and hard hitting. However, I expected a little more out of the second half. Penalties plagued the final two quarters, halftime adjustments seemed non-existent, and execution was lackluster. Many times you can watch a championship game and note that the two best teams are out on the field. I didn’t get that feeling last night. As for the commercials, I thought they were fine. It doesn’t matter how creative or funny they are, social media will always judge the current Super Bowl commercials as inferior to those of the previous year (Every. Single. Time.). I thought the most powerful commercial of the evening was the Verizon first responder spot with San Diego Chargers head coach Anthony Lynn. I am literally tearing up right now just thinking about that part in the ad when the personnel who assisted in the accident identified themselves. The subsequent reaction from Coach Lynn did me in. It was so well done. The most creative/funny spot, in my opinion, was the Bud Light corn syrup gag. The shade they threw at Miller Lite and Coors Light was daring and hilarious. I don’t watch Game of Thrones so I can’t really comment on Bud Light’s other popular commercial. The odd/awkward ad that appealed to a goofy guy like me was the Burger King #EatLikeAndy commercial. It was just so retro and so different from all the other ads that I couldn’t help but give it two thumbs up! Now for the halftime show. Although “Girls Like You” made my Top 5 Songs of 2018 list, I am not a big Maroon 5 fan. I believe the band’s older music to be especially bad. However, like the commercials, I find it annoying how people automatically discount the halftime show before the performance is even over. With that said, I didn’t get too excited about what I saw. It was just way too much Adam Levine for me. After a predictable performance last year from Justin Timberlake, I was looking for a surprise guest (besides Spongebob) or a surprise element that would have us talking today. It didn’t happen. Overall, Super Bowl LIII was forgettable. That is not to say that everything sucked. The play was decent and the entertainment was average, but in order to stand out, there is a certain “WOW” factor that needs to be present. I kid you not, it won’t even take six months for me to forget about who played in this year’s game. But it’s all good, I guess that is why I write these posts. Don’t Blink.